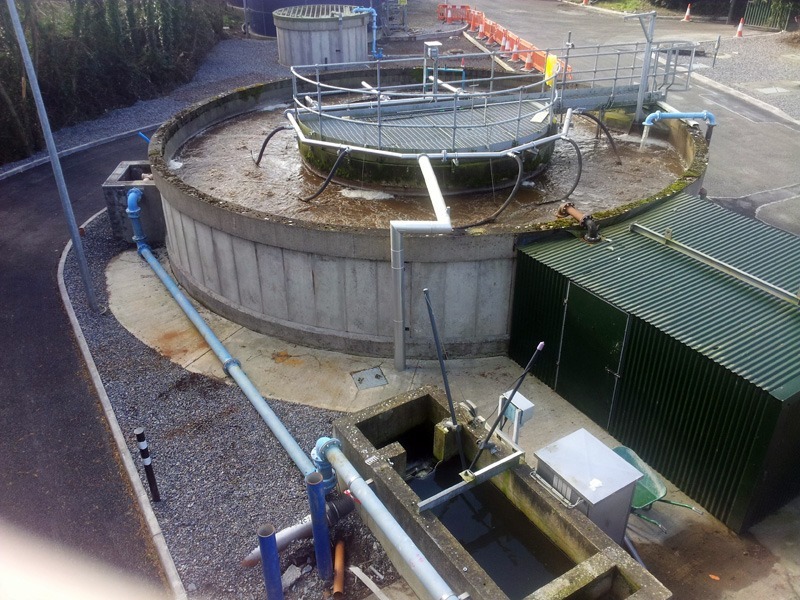 Colloide was appointed as the principal contractor to undertake a major upgrade of Stamullen Wastewater Treatment Work on behalf of Meath County Council. 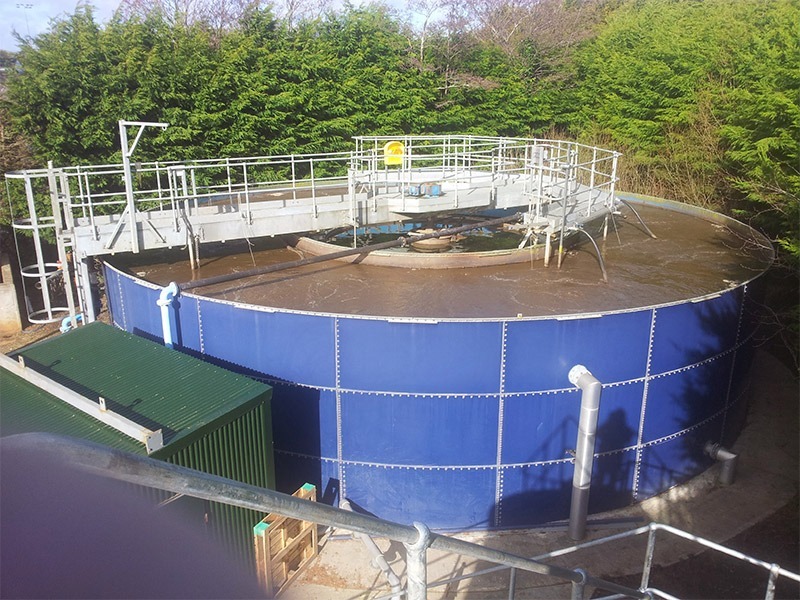 The project involved upgrading two aeration tanks, installing a new tertiary treatment plant, and upgrading the SCADA controls to include integration with the new tertiary plant. 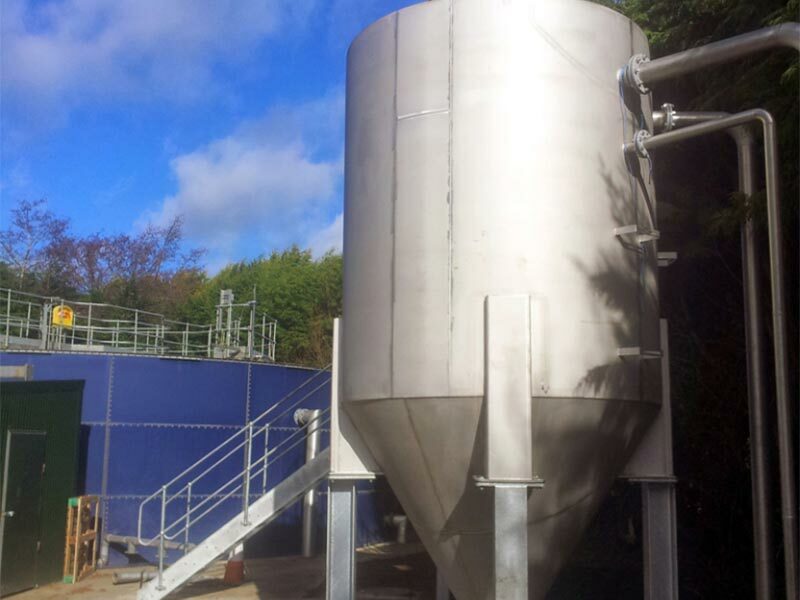 We installed manifolds and a fine bubble diffused air system in a specific ‘pod’ format around each tank, with dissolved oxygen meters linked to a central controller. 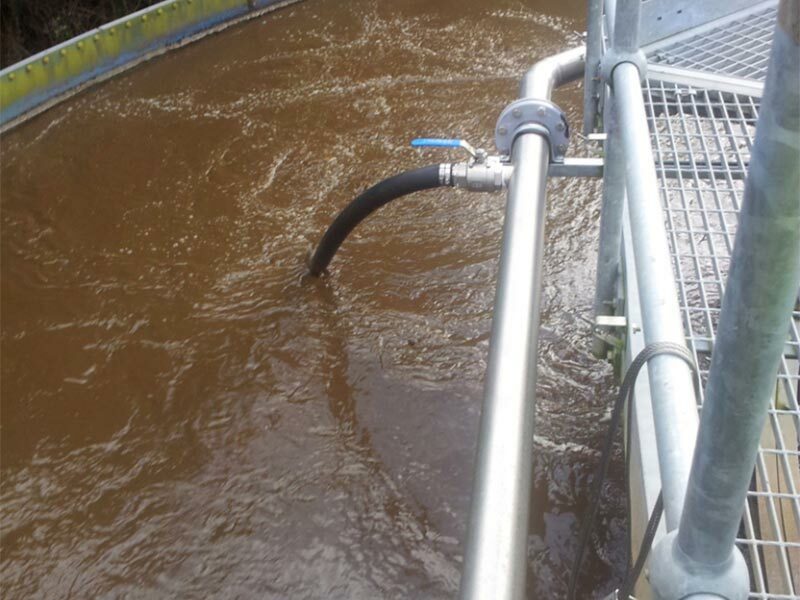 The tertiary treatment involved our own continuous backwashing sand filters, to achieve a final effluent quality of 10mg/l BOD5 and 10mg/l T.S.S. 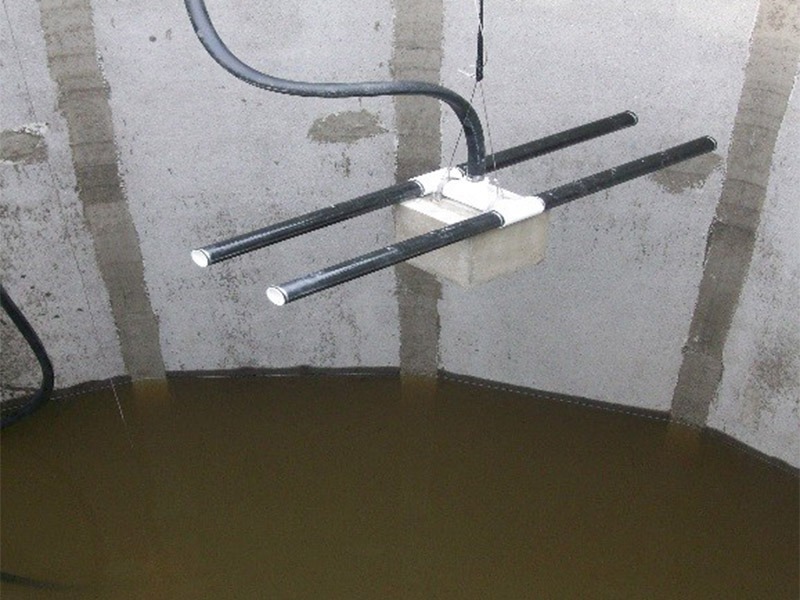 Colloide’s Dynamic Sand Filter and chemical dosing is highly effective in the removal of solids, BOD/COD, P and ammonia, and uses a unique counter current variable velocity washing. The filtration system was installed above ground with a compressed air system housed in an adjacent building. Minimises running and maintenance costs. It does not have any mechanical moving parts, thereby reducing costs from wear, tear and maintenance, and has its own internal sand air-lift system. 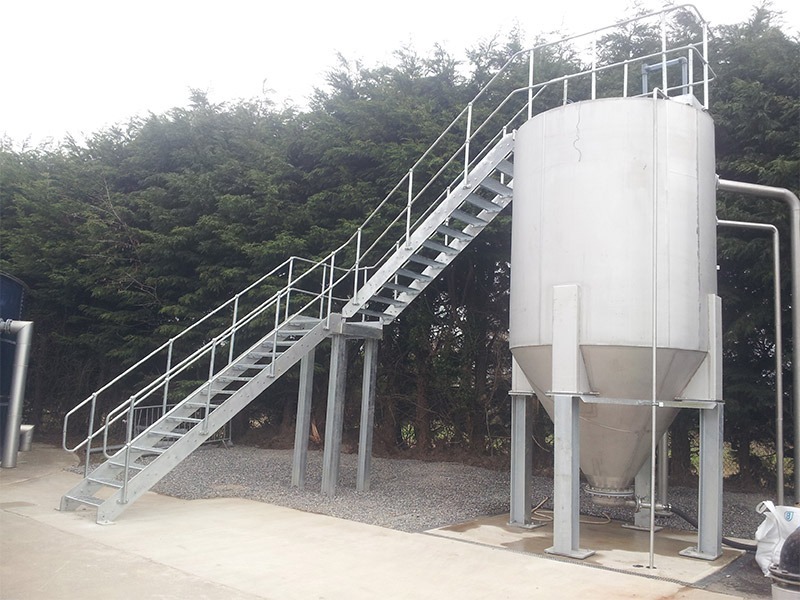 Removes the need for a pumping station, backwash water storage and backwash pumps. Is highly efficient in removing fine solids, colloidal particles, BOD/COD, P and ammonia, with coagulation, flocculation and filtration in one step.